The Rise of the Chechen Emirate? Chechnya has been at war with Russia for generations. By 1999, when the second Chechen war broke out, two resistance groups had emerged: nationalists and jihadists. While long simmering below the surface, the schism between the two camps erupted publicly in 2006 on the Internet after Akhmed Khalidovich Zakaev, the moderate foreign minister of the shadow Chechen government, argued that the goal of the Chechen resistance should be an independent Chechen state modeled after Western democracies and integrated into the global community. Movladi Udugov, a jihadist and editor of Kavkaz Center, the best-known online resistance publication, vehemently disagreed and declared that for real Muslims, spiritual bonds should be more important than blood ties. He argued that he would rather embrace ethnic Russians who had converted to Islam than Chechens who had strayed from their religion. There was no point modeling society after Western states, he contended, because all non-Muslim states, or those that are Muslim only in name but not in essence, are corrupt. Instead, Chechens should fight for the establishment of a global caliphate. Sheikh Dokka Khamatovich Umarov, shadow president of the Chechen Republic, endorsed the dissolution of the republic and its replacement by an Islamist "emirate." He argued that Chechens, as Muslims, cannot live outside Islam and must defend all Muslims. Many Chechen government officials distanced themselves from Umarov after his October 2007 declaration of an emirate. In October 2007, this ideological conflict led to a definitive split when Sheikh Doku (Dokka) Khamatovich Umarov, shadow president of the Chechen Republic, threw his support behind Udugov. Umarov endorsed the dissolution of the republic and its replacement by an Islamist "emirate" and argued that Chechens, as Muslims, cannot live outside Islam and must defend all Muslims. 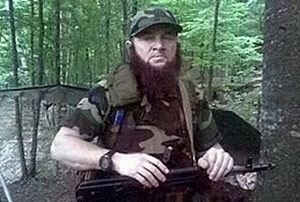 The dispute between Umarov and Zakaev provides insight not only into the future direction of the Chechen movement but also into the tactics and strategy of global jihadists and the resistance they face from nationalist Muslims. Tension in Chechnya existed during the Soviet period and grew through the Gorbachev years. Chechen resistance erupted openly in 1994. As the first Chechen war (1994-96) proceeded, the friction between nationalist resistance leaders and their Islamist counterparts grew. By the start of the second Chechen war in 1999, jihadists began pressing the Chechen government. A certain Khanif, a contributor to Chechenpress, argued that the jihadists began to press the Chechen government almost from the start of the second Chechen war. In 1999, Aslan Maskhadov, the Chechen president who took power after the death of Dzjokhar Dudaev in 1996, introduced Islamic law. Three years later, Shamil Salmanovich Basayev (1965-2006), one of the best-known radical commanders, declared the Chechen state to be a "dead body." The jihadists apparently had become the leading force in the Chechen resistance and proclaimed that turning to jihad was the only way to victory. The Chechen leadership's divorce was nasty. Both sides sought to delegitimize the other. Umarov, the Islamist, argued that those who represent the Chechen resistance should be in the Caucasus risking their lives, not enjoying comfort in exile. He painted Zakaev and his nationalist followers as not only having ceased to be Muslims but also as pawns of adventurers like Boris Berezovsky, a corrupt tycoon prominent during the Yeltsin era (1991-99) who escaped to the West following Russian president Vladimir Putin's accession. Guilt by association was a frequent theme. Jihadist websites show Zakaev not only in the company of Berezovsky but also of Yurii Filshtinskii, a Russian-Jewish émigré and historian who had coauthored a book with the late Alexander Litvinenko accusing the Russian secret police, Federal'naya Sluzhba Bezopasnosti (FSB), of staging bombings in several apartment buildings in 1999 to create a pretext for Russia to launch the second Chechen war. Indeed, Russian authorities accused Chechens of the bombings. Putin, in his position as prime minister and Yeltsin heir, proclaimed that he would pursue terrorists everywhere and launch a full-fledged assault on Chechnya. The jihadist sites also presented Zakaev as an associate of Ramzan Kadyrov, the Putin-appointed Russian viceroy of Chechnya, and, by extension, an ally of Putin himself. In 1917, the major ideologists of Bolshevism, following the bidding and [with] the money received from Germany, staged a military coup in Russia and proclaimed the words that became famous: "Comrades! Revolution, the necessity of which the Bolsheviks have [fore]told for such a long time, has finally taken place!" Today in Chechnya, the events are essentially the same—Dokka [Umarov] has confirmed his decision to promulgate a "Caucasian emirate," the "necessity" of which our "Islamist-radicals" of Bolshevik "mazhab" have [fore]told for a long time. The traitors of the Chechen people still await Shari‘a court for their provocative call for a Dagestan campaign, putting their knives in the back of our people and our state. While Lenin believed that only he could interpret Marxism, Umarov and Udugov––the "green commissars"––believed that they alone were the true interpreters of Islam. Many Chechen government officials distanced themselves from Umarov after his October 2007 declaration of an emirate. As foreign minister, Zakaev declared himself leader of the Chechen government-in-exile and demanded that Chechen representatives abroad should follow his orders. Umarov's declaration of an emirate took the Chechen parliament by surprise; and after receiving no answer from Umarov to the question of how he could occupy a position that does not exist in the Chechen constitution, Zhaloud Lema Sarliapov, chairman of the Chechen parliament, proclaimed that power in the Chechen Republic should belong to parliament, and not to the president, who had actually abdicated his position. Others, such as the Chechen veterans of its Russian wars and a parliamentarian who was also the brother of Chechnya's former vice president, also took Zakaev's side. Sultan Asaev, a colonel in the resistance army, said that Chechens who had suffered in fighting the "fascist dictatorship" should protest the creation of an "emirate" that would lead to even greater tragedy. Salambek Amaev, a former military commandant and representative of the Chechen Republic in Poland, also protested. Zakaev also won the support of the Chechen "elders" who in traditional society are seen as the ultimate moral authorities. Alla Dudaev, widow of the first Chechen president, Dzjokhar Dudaev, argued that the promulgation of the emirate was a betrayal of her martyred husband's life's work. Chechen elders in Istanbul, Udugov's city of residence, also flocked to Zakaev's side despite Udugov's assertions to the contrary. Zakaev also received considerable support from the approximately half-million strong Chechen diaspora. The consuls of the Chechen Republic of Ichkeria and representatives of the Chechen diaspora stated that if Umarov believed he needed more titles to engage in the liberation of the Caucasus, he could just resign from the presidency of the Chechen Republic and take whatever title he wished. While Chechnya has newspapers, most are controlled and do not permit open debate. Most Chechens, especially those in the diaspora, turn to websites for news and to debate ideas. The editorial boards of some Chechen websites dissociated themselves from Umarov. The board of the Daymohk news agency, which had served since the administration of former Chechen president Abdul Khalim Sadulaev (2005-06) as presidential spokesman, severed its connection with Umarov. The split divided other Internet papers into two camps. While the Chechentimes adopted a pro-Umarov position, Chechenpress contributor Mairbek Taramov urged readers to be aware that the Chechentimes had nothing to do with the old Chechen Times, which had been "the vehicle of a European-oriented group of Chechens." Lastly, the declaration of the emirate antagonized Chechnya's foreign supporters. Adam Borovskii, consul of the Chechen Republic in Poland, proclaimed that he and "his Polish friends" had done their best to liberate Chechnya. But now, after the promulgation of the emirate, he saw the Chechen leaders identifying themselves with Al-Qaeda, something with which he wanted no connection. Zakaev became de facto leader of the Chechen government-in-exile. Any divorce is difficult. In order to justify the schism to the broader Chechen community, Zakaev developed a number of arguments to justify his claim to leadership. First, he argued, since Umarov had implicitly abandoned the presidency, he, Zakaev, could not be his representative. In Umarov's stead, parliament should take power. Second, Zakaev argued that the declaration of the emirate made it impossible to cooperate with Kadyrov's government. Even before the February 2007 split, Zakaev had developed the notion that Moscow was losing control over Chechnya and that Kadyrov's regime had become part of the Chechen opposition. For example, he argued that its security forces and militia are perhaps 70 to 80 percent former members of the resistance, who uphold Chechen independence in their heart. Kadyrov's trend toward independence provided the opportunity, Zakaev suggested, for compromise with the moderate segments of the Chechen resistance. The declaration of the emirate upset any chance at compromise. Udugov and Umarov wanted, Zakaev implied, a war without end. Pushing this further, Zakaev put forth a third argument: that Russian intelligence played a role in the declaration of an emirate. He alleged that the FSB had met with and bribed members of the Chechen resistance; rumors spread that about half a billion dollars changing hands. These Russian agents, Zakaev said, had convinced Umarov to abrogate the Chechen constitution, abolish the Chechen state, and proclaim an emirate, thereby giving Moscow justification for war against the Chechen resistance by arguing that it was fighting against a branch of Al-Qaeda. The corruption argument resonated. Larisa Volodimerova, a contributor to Chechenpress, suggested that Udugov and Putin cynically collaborated to profit at the expense of the Chechen people. Others noted that many jihadist leaders lived in luxury. Udugov, for example, lived well in Istanbul with his four wives, seemingly with no regard for the families of jihadists killed and wounded in Chechnya. Chechenpress contributor Turko Dikaev stated with an air of irony that it might turn out that the reason for Umarov's promulgation of the emirate was quite personal and quite petty. Beyond profit, the move would enable Umarov to purge Zakaev since a foreign ministry would no longer be necessary. Most of Zakaev's supporters accepted his arguments. Umarov's desire to build an emirate defied logic. One contributor to Ichkeria FR—the Internet publication of the Chechen diaspora in France—said that Umarov justified his plan to create an emirate by arguing it would help Chechens find support for their struggle among the other people of the Caucasus although a regional emirate based on Islam rather than nationality would require the dissolution of the Chechen state. Absent the emirate declaration, Chechens could preserve their own state and strike alliances with the other people of the Caucasus. Zakaev's backers countered that idea by noting that Umarov's actions would alienate the Chechen resistance from the major global powers and by suggesting that even if bribery did not motivate Umarov, he had certainly overestimated the importance of Islam in Chechen life. Chechenpress contributor Larisa Volodimerova argued that those who proclaimed the emirate repeated mistakes made by past Chechen leaders, such as Shamil, who tried to create a theocratic state: They believed that Islam would solidify the Chechen ranks and make them resolute fighters for independence. But the Islamization of Chechen life and theocratic despotism led to the opposite result: Chechens resent autocracy, theocratic or otherwise, and chose not to fight for it. El'mira Magometova, another Chechenpress contributor, argued that Chechens had never regarded Islam as an essential aspect of their national identity and noted that Islam only came to Chechnya in the seventeenth century. Further, she argued, a major reason for Imam Shamil's defeat in 1859 was Chechens' intolerance toward monarchy; many assumed Shamil had such ambitions. Another contributor stated that he could, of course, be regarded as a heretic, but he did not believe the Qur'an could be used as a detailed guide in present-day society: It could only provide a general outline for behavior. Vakhi Surko, another Chechenpress contributor, argued that those who promulgated the emirate and joined the global jihadist movement had alienated the global community. A certain Iskander, a contributor to Chechenpress, stated that the supporters of the emirate actually said that they intended to engage in a war with the entire world, which he said is sheer madness. Irchula Shmaiser, another contributor, supported this view. She stated that the jihadists are mocked as insane because they actually propose jihad without end. While the emirate's proponents said they were not bothered by the absence of international support—the global community does not care about Chechen suffering, they argued—Surko countered that, however true, needless antagonism of the international community was a misstep since it drew the world closer to Russia because of international antagonism to Al-Qaeda and its jihad. But the belief that Putin and Islamists cooperated resonates in the North Caucasus. Chechen writers blame the 1999 war in Dagestan, launched after terrorists blew up apartment buildings in Moscow and Volgodonsk, on both Putin and the Islamists. Subsequent Islamist terrorist attacks in Dubrovka and Beslan provided the Kremlin with justification to continue its war against Chechen civilians. In the view of other Chechenpress contributors, events suggest a Putin role. "There is a clear understanding that Udugov worked together with the FSB," one Chechen writer declared. Not only might the emirate help Putin justify war against the Chechen resistance,  but it could drive a wedge between Chechnya and the West. The West might be transformed from passive and often sympathetic observers into Chechnya's enemy and Russia's helper. Even after the September 2004 school massacre in Beslan, many Westerners expressed sympathy toward the Chechen cause. Since that attack, there have been no major terrorist attacks against civilians. Should there be, however, Moscow would be able to link Chechen resistance with international terrorism. Prior to Udugov's statements, most Americans did not regard the Chechen resistance as part of the global terrorist movement. Nor would reliance on global Islamism necessarily help Chechnya. Khanif suggested that the umma, the global community of Muslims who band together for justice and liberty, is an illusion, existing more in the minds of jihadist ideologues than in real life. He questioned the assumption that Muslim people and Muslim governments care about Chechens. The Muslim world is not only disunited but also corrupt and remains the "old, sinful man." The mythical heroic umma united for the common struggle is similar to the mythical global proletariat whose heroic faculties and sense of solidarity exist only in the minds of believers. One contributor to Chechenpress proclaimed that the Chechen people are more the victims of Islamists than of Putin. The conflict between Islamists and nationalists is irreconcilable and may lead to internecine violence within the Chechen resistance. While Zakaev may entrench himself in Europe as a good, "moderate" nationalist, Islamists will increasingly consolidate the battlefield. Chechnya might be for them just a weak link in the global chain of the "worldwide revolution." While Chechens will form the entirety of the moderate nationalists, the jihadists will embrace a variety of ethnic groups connected not just with foreign jihadists but with a network of Islamic—and possibly non-Islamic––extremists all over Russia. In this way, the Islamist movement in Chechnya parallels the Bolshevik movement in Russia in the years prior to World War I. What of the implications of the schism within the Chechen movement? Jihadists are unpopular among many in the Chechen diaspora, most of whom would like to be seen as legitimate political refugees promoting an understandable cause rather than representatives of an Al-Qaeda type movement. Western politicians sympathetic to Chechen nationalism will certainly side with Zakaev. In embattled Chechnya, quite a few—at least judging by Internet discussions—might opt for Kadyrov's rule, which provides some modicum of stability and a chance for gainful employment for Chechen youth. Still, the small but dedicated groups of jihadists will not evaporate because of the lack of recruits: Regardless of what Chechens think of their cause, jihadists can attract Islamic extremists from across Russia and around the world. What would be the implications of the small, dedicated bands of religious zealots in the Caucasus for Russia and ultimately the world? Here, comparison between Bolsheviks and jihadists is enlightening. Those who study the Bolshevik movement offer many arguments for its victory. Some credit Lenin's political genius; others, Marxist ideology or the centralized structure of the party. These elements played important roles, but there is another aspect of the story, which is the Bolshevik similarity to a religious movement. Bolshevik messianism led the movement to persist even when Russia's political and social order was stable. For Lenin, as well as for many other radicals in Europe, the revolution was just an abstraction. In fact, Russia had not experienced a mass upheaval since the Pugachev rebellion in the late eighteenth century, and Europe had not experienced a major revolution since that of the Paris Commune in 1871. Still, the Bolsheviks faithfully believed both in their providential mission and in the instability of the global order and persisted. So when they appeared to be right, and the global order collapsed in the wake of WWI, they were quick to take advantage of the opportunity. The same could be said about the jihadists. If Russia remains stable, the jihadists' influence on Russia and global politics most likely will be marginal. But if a breakdown happens—what Russians call katastroika—the extremists and jihadists, like the Bolsheviks before them, will play an important role in shaping events, at least in the North Caucasus. If this were indeed to happen, the present split in the Chechen resistance would be seen as important as the split between the Mensheviks and Bolsheviks more than a hundred years ago. Dmitry Shlapentokh is an associate professor at Indiana University-South Bend. James Hughes, Chechnya, From Nationalism to Jihad (Philadelphia: University of Pennsylvania Press, 2007), pp. 16-18. Khanif, "Khimera v. Chechne," Chechennews, Oct. 29, 2007. Christopher Reed, Lenin: A Revolutionary Life (London: Routledge, 2005), p. 107. Abdul-Malik Isaev, "Pritcha pro otrublennuiu golovu," Chechenpress (Tblisi, Georgia), Dec. 1, 2007. Amir Dokka, "Declaration of the Caucasian Emirate," Kavkazcenter.com (Grozny, Chechnya; Tblisi, Georgia), Nov. 22, 2007. "Press-reliz MID CHRI," Chechenpress, Nov. 1, 2007. "Soobshchenie Press—Sluzhby Parlamenta Chechenskoi Respubliki Ichkeriia," Chechenpress, Nov. 5, 2007. "Postanovlenie Parlamenta CHRI, No. 1-Bl," Chechenpress, Nov. 6, 2007. Sultan Asaev, "Obrashchenie," Chechennews, Oct. 28, 2007. "Zaiavlenie Salambeka Amaeva," Chechennews, Oct. 22, 2007. Alla Dudaeva, "Obrashchenie k Glave Natsional'noi Sluzhby Informatsii CHRI Movladu Udugovu," Chechennews, Oct. 25, 2007. Administratsiia CIA, "Chechenpress ob adnoi Udugovskoi fal'shivke," Chechenpress, Nov. 3, 2007. "Gosudarstvennyi suverenitet i nezavisimost Chechenskoi Respubliki nedelimy, nezyblemy," Ichkeria FR (Paris), Oct. 24, 2007. "Zaiavlenie Informatsionnogo Agenstva Daymohk," Daymohk (Baku, Azerbaijan), Nov. 3, 2007. Mairbek Taramov, "Obrashchenie k redaktoram SMI CHRI," Chechenpress, Nov. 4, 2007. Adam Borovskii, "Ia ni khochu byt' predstavitelem Severokavkazskikh Emiratov," Chechennews, Oct. 26, 2007. "Zaiavlenie Ministra Inostrannykh Del CHRI," Chechenpress, Oct. 31, 2007. Akhmed Zakaev, "Kadyrov prodolzhaet politiku dekolonizatsii Chechni-Akhmed Zakaev," Caucasus Times.com (Prague), Feb. 27, 2007. Akhmed Zakaev, "Sdelat' takoe zaiavlenie bylo moim dolgom," Chechenpress, Nov. 1, 2007. Rava Prezhnii, "U menia takoe vpechatlenie chto menia lishili Rodiny," Chechenpress, Nov. 5, 2007. "Zaiavlenie Ministerstva Inostrannykh Del CHRI," Ichkeria FR, Oct. 21, 2007. "Kruglyi stol. Zasedanie pervoe," Chechenpress, Oct. 30, 2007. Rubati Mitsaev Laramtsa, "Nas ne nado uchit'," Chechenpress, Nov. 2, 2007. Turko Dikaev, "Zabludshie i pribludshie," Chechenpress, Nov. 1, 2007. Musa Taipov, "Kakoe gosudarstvo my stroim?" Ichkeria FR, Nov. 5, 2007. Larisa Volodimerova, "Sovremennaia istoriia khorosho zabytoe staroe," Chechenpress, Oct. 30, 2007. "Kruglyi stol. Zasidanie pervoe," Chechenpress, Oct. 30, 2007. Vakhi Surko, "Vrag v mecheti," Chechenpress, Oct. 30, 2007. Iskander, "Pis'mo Amiru Chechni," Chechenpress, Nov. 5, 2007. Irchula Shmaiser, "Romanticheskoe puteshestvie," Chechenpress, Nov. 1, 2007. Prosto Chechenets iz Groznogo, Seichas Zhitel' Strasburga, "Sukiny deti," Chechenpress, Nov. 6, 2007. David Kudykov, "Vremia ispytaniia na zrelost'," Chechenpress, Nov. 2, 2007. "Kto otdaet prikazy?" Chechenpress, Nov. 6, 2007. "V itoge k chemu ia prishel?" Daymohk, Nov. 9, 2007. See, for example, Richard Pipes, "Give the Chechens a Land of Their Own," The New York Times, Sept. 9, 2004. Nadezhda Banchik, "O palachakh i zhertvakh, ili o sukinykh detiakh i sukinykh (krestnykh) ottsakh," Chechenpress, Nov. 9, 2007. Khanif, "Khimera v Chechne," Chechennews, Oct. 29, 2007. Vladimir Krapivinsky, "Kogo nam vsem blagodarit' za Vtoruiu voiny?" Chechenpress, Nov. 8, 2007. Related Topics: Central Asia, Radical Islam, Russia/Soviet Union | Summer 2008 MEQ receive the latest by email: subscribe to the free mef mailing list This text may be reposted or forwarded so long as it is presented as an integral whole with complete and accurate information provided about its author, date, place of publication, and original URL.